Our mission is to bring a much needed distraction to children fighting cancer and other chronic illnesses. In Atlanta, we serve the guests at both Ronald McDonald House locations. Specifically, we host themed parties where kids get a piece of their childhood back. Kids are treated to manicures, makeup, and real tiaras! And they get to keep it all, so they can keep their ‘queen for a day’ on repeat. Party guests are transformed into their favorite superhero with capes & masks, and appearances from the most popular superheroes around! RMH parking lots become a tiny neighborhood of decorated car/truck trunks, giving the kids a special Halloween experience. 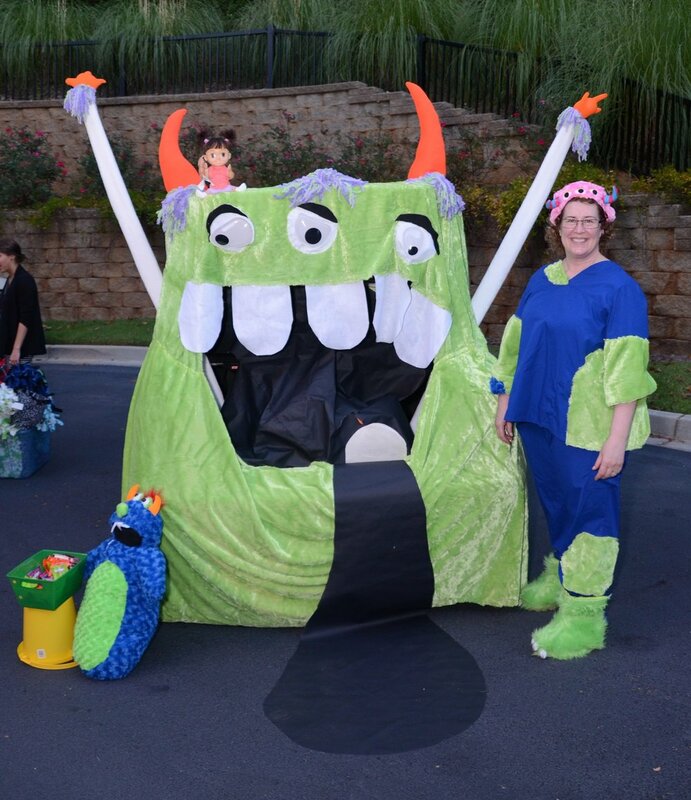 We even provide costumes for kids, including wheelchair-accessible costumes. The chapter relies on generous donors like you to support our program visits. Donate funds to our chapter and we’ll purchase our supplies as needed. Or shop our Amazon registry and have the gifts sent directly to us. Either way, you’ll be making a huge difference for some very brave kids. After each visit, we write a little story about the experience, so you get a feel for our impact. Each post also has photos of that visit. Hopefully, you see what all goes into our activities and how you can plug in.